Sitting somewhere in between the GFX 50s and X-T2, the new Fujifilm X-H1 takes some of the best features from both cameras and adds some exciting new ones geared towards video shooters to boot! Larger, square information screen and beefier hand grip. One of the first things you’ll notice on the outside, is that it has inherited the square information screen on the top of the body as well as the beefier hand grip from the GFX50s. The bigger hand grip is a welcome addition making it feel a little more like holding a DSLR. Like the X-T2, the X-H1 also features a 3-way tilting 3″ monitor on the back, however, it has something that the X-T2 doesn’t have, touchscreen capabilities. EVF resolution has also been given a boost from the 2.36-million dots found on the X-T2 up to 3.69-million dots. Fans of back-button focusing will be happy with the arrival of a dedicated AF-On button on the rear of the camera!! Weight wise, it’s about 160g heavier (including the battery and memory card) than the X-T2 thanks to it’s beefier, 25% thicker magnesium alloy body construction. It’s also dust and water-resistant and features an upgraded high-quality scratch-resistant coating. Special shout-out to Surf the Greats in Toronto for once again allowing us to use their space to film in. Yes, In Body Image Stabilization (IBIS) has finally arrived in a X-Series camera! The X-H1 features a 5-Axis IBIS offering up to 5.5 stops of compensation that works in conjunction with a dedicated dual processor for faster and more precise stabilization performance. 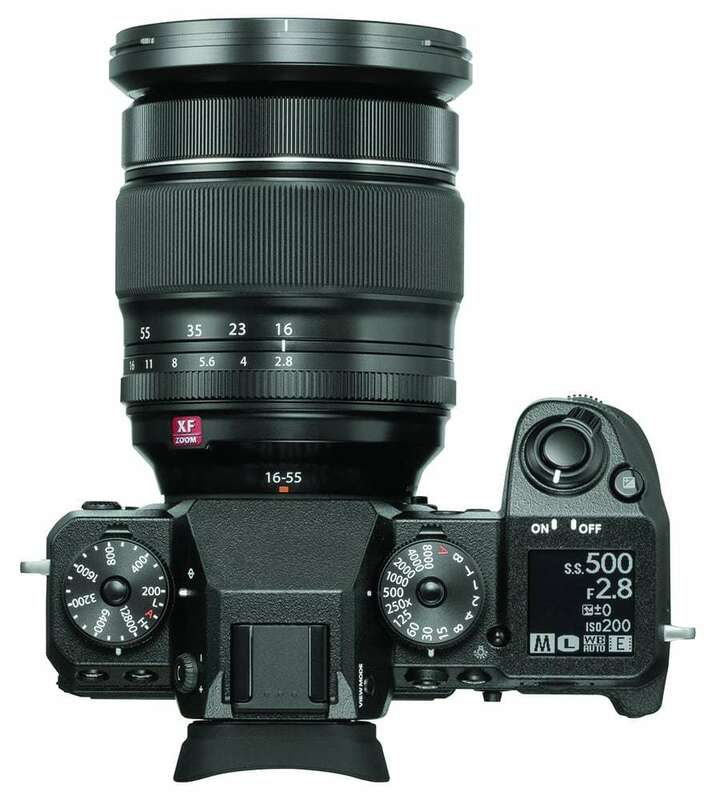 IBIS is a big deal for video shooters because on the majority of Fujifilm’s lenses built-in optical image stabilization has been virtually non-existent. The X-H1 features the same X-Trans 24.3 APS-C CMOS III sensor and X-Processor Pro image processing engine as found in the X-T2 and X-Pro 2. The hybrid AF system is the same as in the X-T2, but Fujifilm has improved AF algorithms improving the low-light limit for phase-detection points by approx 1.5 stops from 0.5EV to -1.0EV as well as expanding minimum aperture performance from f/8 to f/11. This means that phase-detection AF can now be used with some longer lenses. The X-H1 features DCI 4K (4096×2160) video mode that supports 17:9 digital cinema aspect ratio, records high-quality video at a high bit rate of up to 200Mbps and shoots high speed video up to 120fps. With 5-axis IBIS, the X-H1 excels when shooting Videos or Photos that involve constantly changing conditions. This is where the X-H1 really differs from any other Fujifilm camera and it’s obvious that they are going after the video segment in a big way. The X-H1 offers 4K (3840 x 2160) at up to 30p recording, but it also supports the wider aspect ratio DCI 4K (4096 x 2160) format at 24p with a maxium bitrate of 200Mbps using a 1.17x crop region of its sensor oversampling approximately 1.4 x more pixels than necessary thus providing higher levels of detail capture. The one thing that might disappoint some video shooters is the 15 minute limit for continuous 4K recording. However, this can be boosted to 30 min with the optional Vertical Power Booster Grip Kit. Full HD 1080p, 120fps has also been added to allow you to capture that sweet slow motion footage that everyone seems to love these days. There are also 16 film simulation modes including a new movie-optimized “ETERNA” mode that simulates Cinematographic film output as seen in the video below. Dance video featuring Canadian dancer Jesse Hargraves. Shot exclusively on the Fujifilm X-H1 camera and the the ETERNA picture profile. This video was featured at the North American launch of the camera in Los Angeles on Feb 15, 2018. If you switch between shooting video and stills often, the X-H1 allows you to set and will then retain your video settings separately from your stills settings saving you the trouble of having to reconfigure every time. Will the X-H1 be for everyone? Maybe not. But based on it’s video features alone we think that it’s going to give any of Sony’s a-Series cameras or Panasonic’s GH5 & GH5s a run for their money and finally provides video creators a serious reason to consider switching over to FUJIFILM.